What in the heck is going on with this drug “epidemic”? 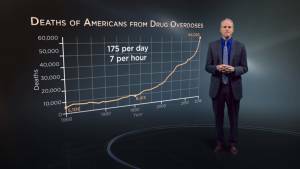 What’s causing all of this stuff we hear about skyrocketing drug use, overdoses, and heroin addiction? Watch at least the first 10 minutes of THIS VIDEO. Watch a little more to understand why it’s nearly impossible for an addicted person to “just quit”.